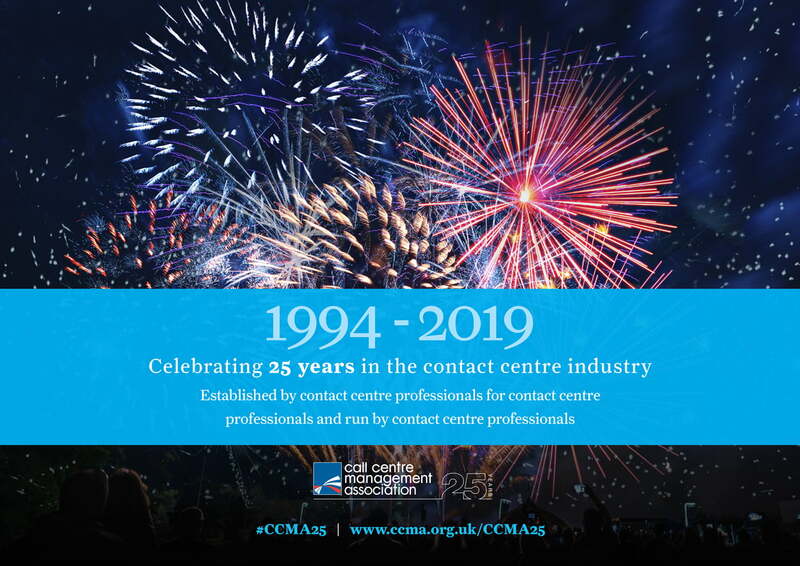 25 years ago a small team of contact centre professionals set up the CCMA. 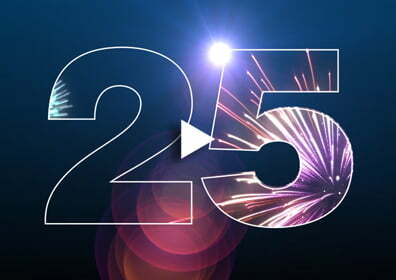 We look back at what led to that moment, hear from two of the original founders and celebrate what’s changed in a quarter of a century with photos and words from some of the industry’s leaders in our commemorative ebook. Fill in the form below to download it. 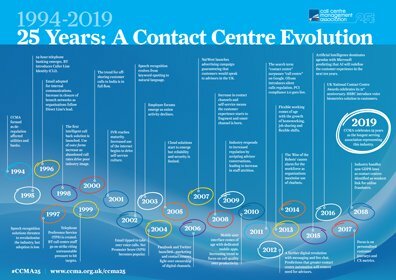 So much has happened in our industry in the last 25 years. We’ve tried to capture some of the key changes on an infographic. Click here to view it! We talked to some well-known industry faces and asked them to share their memories and views of the future. Watch the video!